Is your business looking to better track leads? You are not alone. 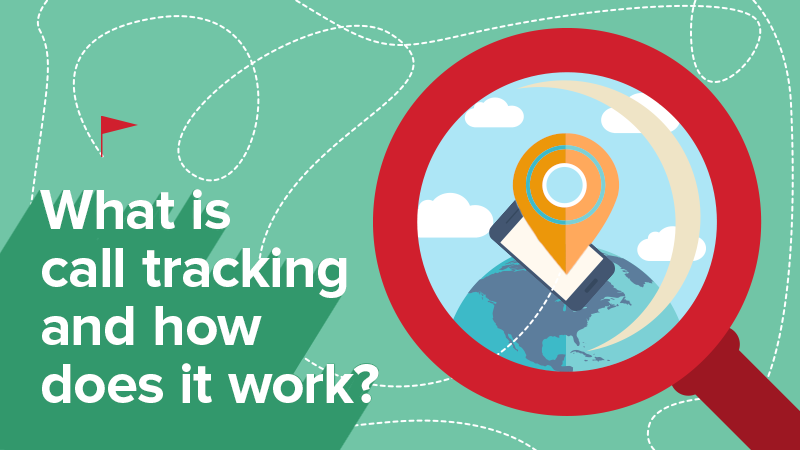 Thankfully, as digital marketing gets more complex, so do the tracking methods. Call tracking is one of these methods. While call tracking isn’t necessarily a new service, not enough people are taking advantage of its capabilities. What is call tracking? Call tracking is the process of tracking phone leads by inserting a tracking number in your paid ads, emails, landing pages and website to see which of your marketing efforts are producing results. For many business owners, this is an exciting tracking feature! For others this is scary because they’re afraid it will negatively impact their ranking on local search engines. Fortunately for you, good marketing companies (like us) know how to implement call tracking so that it does not negatively impact your business. In simple terms, your website’s ranking will not be harmed in local search results and you’ll still enjoy all of the benefits that come with call tracking. What's the value in call tracking? Now that we understand how call tracking works (and we’re assured that it’s not negatively impacting SEO), why is it more valuable than other lead tracking efforts? Well, the short answer is, it might not be. It all depends on your business. Call tracking, just like any other lead tracking method, must be measured against all other methods. We want to be completely transparent about this. Call tracking works great for some industries, but not all of them. No one lead tracker is foolproof. However, if you pair call tracking with call recording, like we recommend, you’ll significantly increase your chances of determining exactly what leads your marketing investment is responsible for. Let’s look at an example that demonstrates the value of call tracking. Pretend you own a towing company. Since you’re a “need it now” service, you've decided to run a Google AdWords campaign with a call extension allowing searchers to have a direct click-to-call option. Just by having a call extension, your clickthrough-rate will typically increase by six to eight percent, but if you’re not using a DNI call tracking number then there are leads that AdWords will miss. Your AdWords account can track when a searcher clicks your extension. It will report data sets like date, time, duration, and even area code. (Check out our blog The Paid Advertising Metrics You Absolutely Need to Know if you want to learn more.) When using a call extension, only calls coming directly from AdWords traffic will be tracked. When using the DNI method, you are able to track calls that don’t come directly from AdWords traffic. So, if a searcher clicks on your ad to check out hours and pricing before calling for a tow, your tracking number will follow them to the website. This is a paid ad conversion that could have previously been missed. Without this valuable data, you can’t accurately determine how effective a paid advertising campaign is. It’s like trying to solve a puzzle without all the pieces. Call tracking isn’t just valuable for need it now services. Call tracking cookies are typically stored on a searcher’s computer for about a week. Meaning, if a searcher visits your website a few days after an initial ad click, your tracking number will still dynamically display, allowing you to track calls from these leads. How can it directly impact your business? Not only is this data crucial, but when paired with call recording, call tracking can improve your customer relations. With call recording, you have the ability to listen to individual calls and pinpoint why an interested prospect wasn’t converted into a customer. Maybe the lead wasn’t relevant or maybe the receptionist was rude to the prospect. Whatever the reason, you can use this information to make changes to your marketing strategy. Take DialogTech’s call tracking success story involving Montgomery Family Law, which specializes in family divorce and family law, as an example. By implementing a DNI call tracking structure, Montgomery Law experienced a 40 percent increase in conversions from all online leads within a few months. This new data allowed Montgomery Law to confidently maintain an investment in digital marketing that it could have given up on. Throw in the addition of call recording with your call tracking efforts, and you also have the ability to perform quality assurance, which will allow you to close more leads. Call tracking should not be a service to fret over. This is a service that, if performed properly, will help elevate your marketing campaigns through better lead tracking abilities.